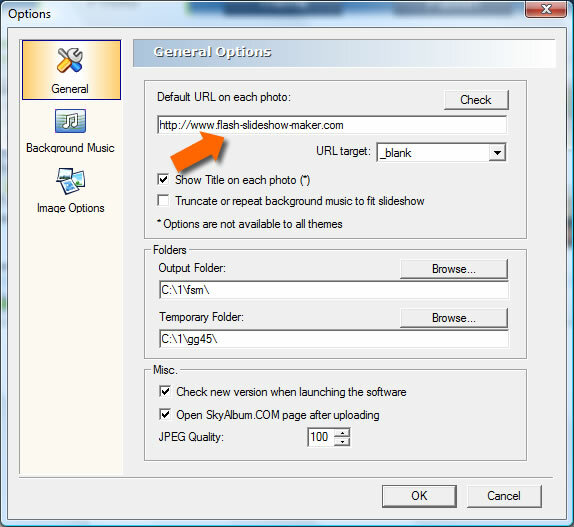 How to add or change the URL link for the flash slideshow photos? When the user of your slideshow click the photo, a URL can be opened optionally. You can change the URL to any website you need. 1. 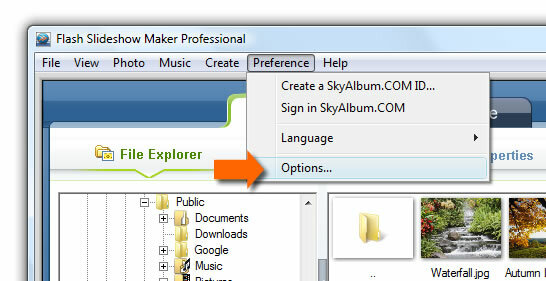 Click menu "Preference" and select menu item "Options...". 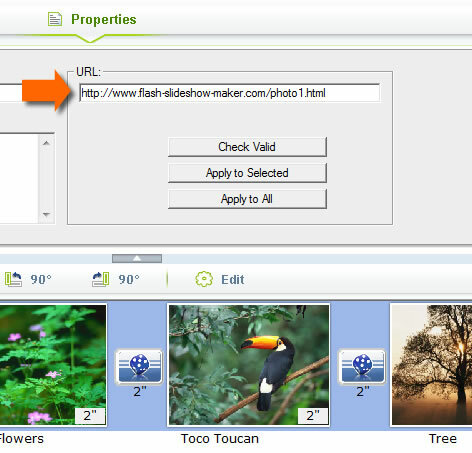 You can edit the option "Default URL on each photo" and enter your own website URL. 1. Click the "Properties" button in the photo editor panel. You can click on each photo and then edit the URL for it.